(0 Customer Reviews) | Write Review 12 issues per year Horse Illustrated magazine is one of the leading publications dedicated to horseback riding, horse care and equestrian life. Horse Illustrated offers expert advice on English and western training, plus essential information on equine health and nutrition. Beautifully illustrated horse breed profiles, as well as step-by-step horse training tips and equestrian news and lifestyle features are informative as well as engaging. Whether in the show-ring or out on the trail, Horse Illustrated helps riders of all experience levels improve their riding performance and gives them the skills to better care for and enjoy their horses. – Brilliant replica format, just like the print edition you know and love. – Text-formatted articles designed for maximum mobile readability. – Download each issue, then return any time for offline reading. – Search the archive of available issues. – Bookmark your favorite articles. 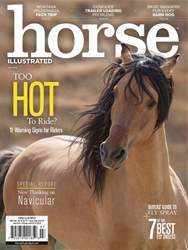 Horse Illustrated magazine is one of the leading publications dedicated to horseback riding, horse care and equestrian life. 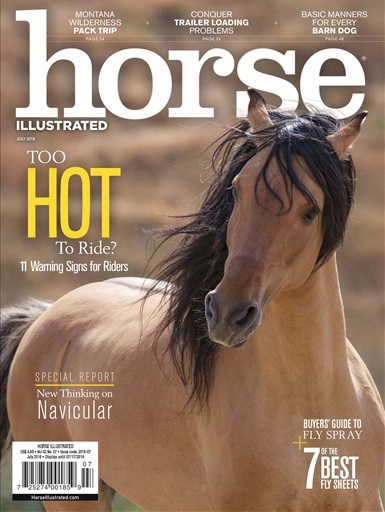 You'll receive 12 issues during a 1 year Horse Illustrated magazine subscription. You'll receive 12 issues during a 1 year Horse Illustrated magazine print subscription.